Marshfield (OnFocus) Marshfield Fire Department is currently working a structure fire at 804 South Palmetto Avenue in Marshfield, WI. Marshfield Fire Department has 6 firefighters on scene. 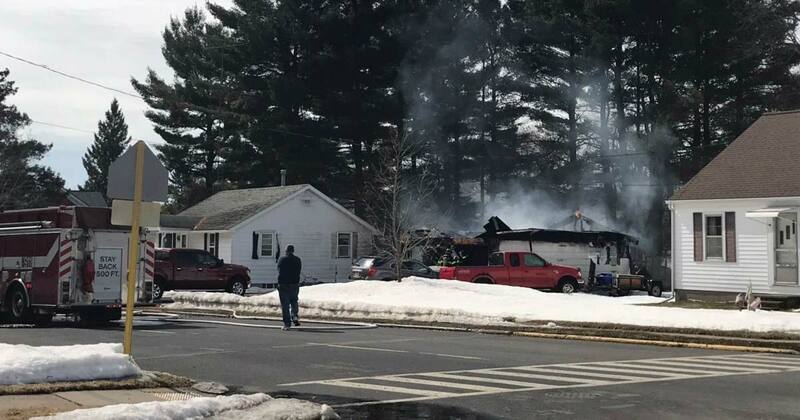 1:42 PM Marshfield Fire Department is currently working the fire scene looking for any hot spots. 1:35 PM Spencer Fire Department is on standby. At 1316 hours, multiple calls from the homeowner and neighbors reported a structure fire at 804 S. Palmetto Ave on Sunday. Marshfield Fire & Rescue, Marshfield Police Department, WE-Energies, and Marshfield Utilities responded. Eight on-duty firefighters responded and seven off-duty department members were brought to the station. The fire chief responded to the scene to assist the Incident Commander (IC) as needed. The IC requested three additional firefighters to assist at the scene. Department fire investigators and Wood County Fire Investigation Task Force also responded.